TULSA, Okla. (AP) – Daniel Keating, a businessman who served on the Oklahoma Board of Education and was the twin brother of former Oklahoma Gov. Frank Keating, has died. He was 74. Daniel Keating’s son, Matthew Keating, told The Associated Press on Sunday that his father died Saturday in Tulsa. He said that education was very important to his father. 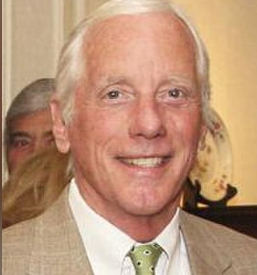 Keating was vice chairman of Summit Consolidated Group, a national brokerage and insurance company. He was the Oklahoma co-chairman of the Trump for President campaign in 2016. He also served in Vietnam with the U.S. Marine Corps.